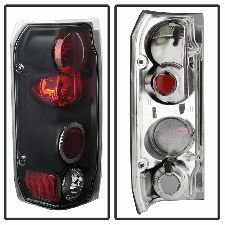 Showing 1 - 4 of 4 Products for Tail Light Set. 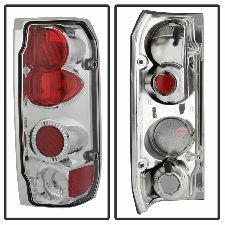 Tail Light Assembly, Clear Lens, Black Housing, Pair, . Guaranteed To Improve Your Vehicles Appearance. Rigorously Tested For Fit And Function. Simple Plug And Play. No Modifications Required. Easy Installation Using Common Hand Tools. Uses Stock Mounting Locations And Hardware. D.O.T. Compliant To S.A.E. Standards. Sold As A Pair. Does Not Fit F-250 Light Duty Models. With so many automotive lighting companies out there it is sometimes difficult to choose which one to buy from. Spyder Auto has always pride themselves in great products. 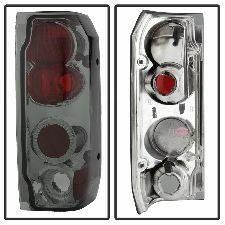 All of our Altezza tail lights and LED tail lights are designed to bring style and elegance to anyone's ride. With that said it wouldn't be strange for us to go one step further and start using PHILIPS LUMILEDS or Osram Sylvania LED strips and bulbs on our LED tail lights.